NBA 2K14 TOP 10 Park Plays of the Week The instrumental is Amen by Rob D aka Dtownsboy This series is for everyone in the community. 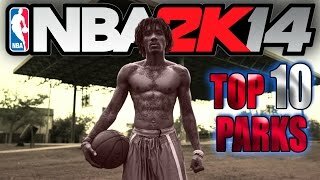 NBA 2K14 Top 10 Park Plays of the Week The instrumental is a remake of Busta Rhymes King Tut Produced by Jahlil Beats This series is for everyone in the community. NBA 2K14 OFFICIAL TOP 10 "PARK" Plays of the WEEK!